Obituary for Beatrice Dean Cain | Henry Funeral Home, P.A. In loving memory of Beatrice Elsie Dean Cain affectionately known to some as “Aunt Bea”, was born on August 27, 1930 in Queen Anne County, Maryland and departed this life on April 10, 2019 under the compassionate care of Talbot Hospice in Easton, Maryland. She was 88. Bea was the daughter of the late Preston Dean Sr. and Evelyn Hoxter Dean of Cordova, MD. Bea was educated in the Talbot County Public School system before moving to Wilmington, DE in the early 1950’s. She LOVED to travel. She took cruises, bus trips, flew to Hawaii and often spoke of her journey to “The Holy Land” in Jerusalem. Bea also enjoyed bowling - for which she became secretary of the YWCA bowling league; watching her “stories” like Law & Order and Young and the Restless. Lest we forget, Bea was an EXCELLENT cook most famous for her homemade rolls and white potato pie! She frequently opened her home and would help anyone in need! She had a smile or “smirk” for everyone. Bea was a very self-sufficient, independent lady, which drove her to develop her own janitorial and catering businesses. She also worked for various companies, such as White’s Janitorial, Quality Sub Shop, The Fish and the Chicken and many other establishments over the years until her retirement in 2016 at the ripe age of 86! Bea was God’s servant. She served on the Women’s Club, the Pastor’s Aid Society, the Usher Board, The Missionary Women, was President of the Culinary Ministry and other organizations within the church. 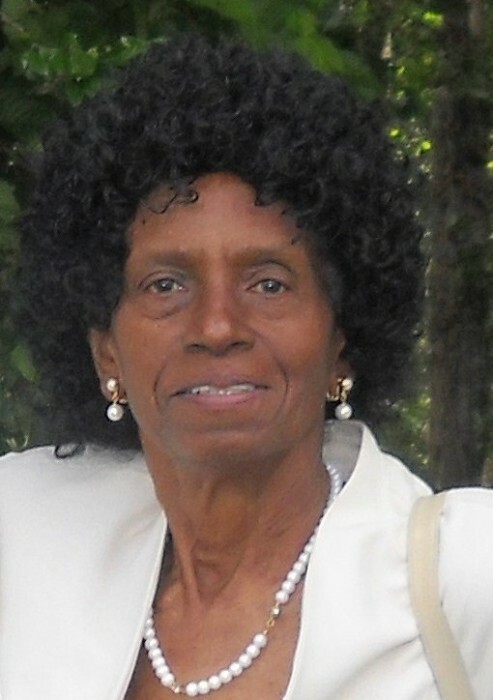 Bea loved the Lord, and was a faithful member of Shiloh Baptist Church in Wilmington, DE for more than 50 years. She was baptized at Shiloh in 1962. However, she dually remained committed to her “home” church, St. Matthew’s United Methodist Church which she rededicated herself to upon her relocation to Maryland. Bea leaves to cherish her memory; one daughter, Barbara Dean Johnson of Bronx, NY; three grand-daughters; Karima Johnson, Nyala Johnson and Rafiki Johnson, six great-grandchildren; Mark Modeste, Amari Johnson, Laila Harrison, Jazmine Harrison, Kaylin Harrison and Johara Johnson; one sister-in-law, Shirley Dean, of Plainfield, NJ; Nieces and Nephews; Richard Dean, Ronnie Dean, Juanita Blake (Bobby), James Dean, Charles M. Dean, Diane Dean, Kevin Brown, Shelly Potter (Leroy), Jackie Roberts, Renthia “Bushy” Thomas, Gregory Dean, Dianne Dean, Michael Dean, Jenith“Jenny”Dean, Charles Dean Jr., Paul Dean; and a host of great-nieces, great-nephews, cousins and special friends; Deaconess Martha Herbin, Honor Barrett and her family at Sprint Quality Printing. She was preceded in death by her sister Lucille Dean, brothers Charles Dean Sr., Preston Dean Jr. and Robert Dean and Nephew Stevie Dean.